Welcome to this week's edition of Frugal Friday!! Last week's fan favorite was posted by The Thrifty Abode. A fabulous DIY Sunburst Mirror. So pretty! First on the agenda, The Ivy Cottage shared a great DIY worktable tutorial. Can't wait until I have space for one of these babies! 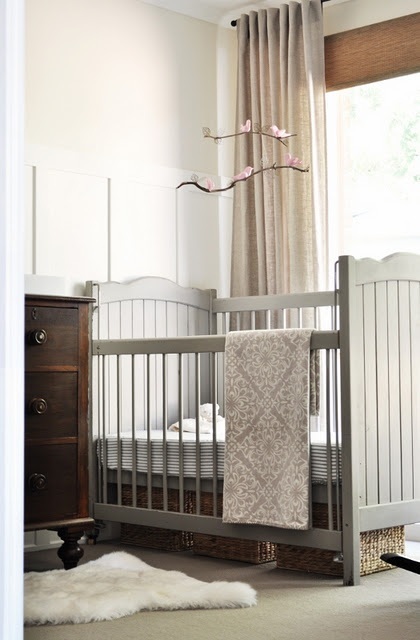 Next, The Painted Hive shared a beautiful Neutral Nursery reveal. Seriously stunning! 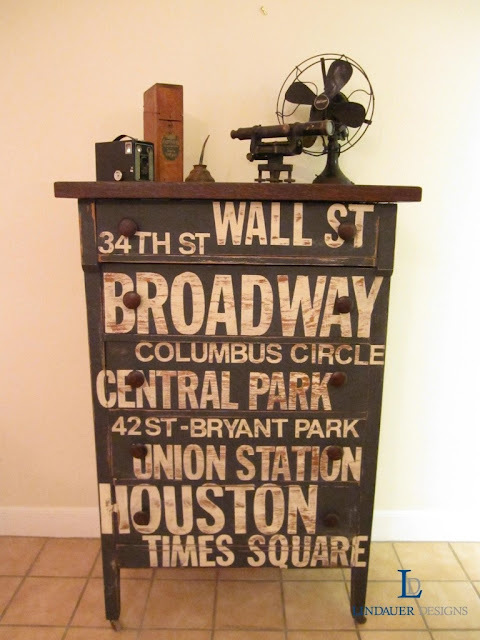 Finally, Lindauer Designs created this amazing Subway Sign Dresser...such a great idea!! I just love subway art...and on a dresser? Genius. Wowza, I love the Subway SIgn Dresser! Thanks for hosting Wendy! LOVE that dresser - seriously amazing! Thanks so much for hosting. I love the nursery and the subway art dresser. Have a great weekend. Thanks for hosting! I LOVE that sunburst mirror! Oooh! That mirror would be awesome with old yardsticks and a large convex security mirror! It has my wheels turning! The Subway sign dresser is really stunning. I already bought the stickers at Hobby Lobby, think I'm gonna do the extra, upstairs bathroom cabinets! Thanks for hosting! What beautiful features! Have a great weekend! Hi Wendy! Thanks for hosting this great party...I get lots of "views" on my posts from your parties. I love the projects that you featured. I have a question about "liking"...are we supposed "like" our favorite or can we "like" more? any certain number? Thanks. Loving the inspiration this week. Those recycled drawers are very cool! I also saw the amazing subway art dresser posted by Lindauer Designs last week! I was so intrigued by it, I took the challenge to make my own! I see I am too late to link up to your party, but I invite you to come over to my blog to see mine! notes to anne dot com.